In light of his 2015 premiere memoir, Alone on the Wall, I caught up with rock-star Alex Honnold to find out more about who he is beyond the wall. Most known for his big wall free solo ascents—scaling 2,000-foot faces with no protection—Alex Honnold’s Spider-Man skills reached the mainstream spotlight with the 2009 film Alone on the Wall. The documentary captured Alex stepping timidly sideways along Thank God Ledge—now one of the most epochal images in climbing. Since, Alex’s Yosemite Triple solo—Mount Watkins, El Cap and Half Dome—his free solo of El Sendero Luminoso, and the first-ever Fitz Traverse with Tommy Caldwell have ratcheted just as much fame. By the end of 2015, the renowned climber polished off his first-ever book tour for his premiere memoir, Alone on the Wall, co-authored with writer-climber David Roberts. While Alex “no big deal” Honnold is the most talented free soloist of his time, the book carves out space for the other climbing niches that he pursues and progresses including alpine and speed climbs. And highlights integral climbing achievements—counting several gripping, pre-stardom free solos—Alex accumulated to reach his more recent, sighted accomplishments. David Roberts balances Alex’s moments of seeming nonchalance with the voice of an experienced climber, the objectivity of a journalist, and thorough climbing history including a handful of the free soloists that have inspired Alex: “Alex points out that none of this group of elite climbers died while pushing their limits at free soloing”—is just one of the conversations that contextualizes this hard-to-grasp adventure sport, which Alex has pushed beyond what anyone thought possible. Ironically (for some), the memoir exposes the essential-ness of companionship on the wall and the gravity of choosing advantageous climbing partners as Alex pairs with some of the world’s most elite climbers to conquer new territory and set speed records. Disciplined and agile, Alex is admittedly not very familiar with traditional or ice climbing, which means he’s depended on alpine-savvy partners as a guide and teacher. Superhero Honnold certainly earns his skills. And, even amidst competition, his amity with and for other climbers is apparent. Beyond climbing, Alex launched his own nonprofit in 2012, the Honnold Foundation, which seeks to improve lives world-wide through simple sustainability, namely with solar energy. Most recently, the Foundation’s September 2015 trip to Angola initiated the country’s first-ever pilot program for off-grid solar power (as well as sampling the climbing.) Partnered with BBOXX—an organization from the U.K. that designs and manufactures innovative solar systems—the project comprised 100 home solar system units. Amidst talking about his debut memoir, Womens Movement caught up with Alex Honnold on everything from his environmental work, training routine, and dating to his fears, future home and worldviews. How has the book tour been? It’s been really positive. I’m stoked people are buying the book, and it’s good to see the climbing community all come out. If I were getting more sleep I’d be having a great time—it’s pretty tiring and that makes me grumpy. There’s been too much transit time in airports and taxis. You’ve traveled and climbed in about 40 countries. Throughout your book, you encounter frustrating conditions for climbing—rain in Kinabalu, abominable rock in Ennedi, fog in Devil’s Bay. What draws you to keep traveling? The cultural experience is part of it, but it’s definitely to climb on new rocks. I can see an endpoint where I’m just too burned out on travel, and I switch to just one trip a year—particularly in the midst of a book tour, because I’m so tired all of the time. Out of everywhere you’ve climbed around the world is Yosemite Valley still your favorite place, or have you found a match? I think Yosemite is the most beautiful place on earth. Patagonia is a close second, or maybe even more impressive, but I like Yosemite more for the accessibility and ease of use. Patagonia is epic, but you have to walk for six hours to get to the base of anything—it’s a lot of work. In Yosemite you can drive to the base of El Cap and it’s time to climb. One of my favorite parts in your book is the back-and-forth banter between you and Mark Synnott, in the World Traveler chapter. You critique his sensational magazine writing; He scoffs at your ignorance of mountaineering. You also call him a mentor and he continues to invite you on climbing trips. Is your relationship complex? We’re friends and have a good sense of humor, but we have different perspectives on a lot of things. 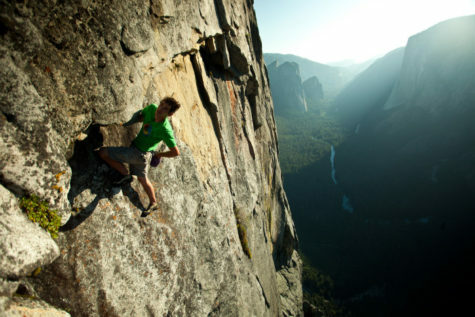 He is a different generation of climber and climbs in a different way. I’m really grateful that he’s taken me on all of these trips. That’s a big part of what brought me out of my ‘Yosemite bubble.’ His trips initially got me into world traveling, which made me realize that I could go to more far-flung places and be totally fine. At one point, you write that Mark thought you weren’t open to being taught by your teammates. Are you? I’ve learned so much from my teammates over the years. A lot of Mark’s quotes are from when I did the first expedition with him in 2009. I was much less open to everything. Now, I’m way more open. My last couple of alpine trips, like to Patagonia, have been about me choosing the right partner who can basically guide me, because I don’t know anything about it. It’s definitely been formidable years of me finding the right partners and learning from them. Totally. And becoming a student again can be humbling. Not just humbling but awesome, too. You’re at the sharp end of the learning curve again and can learn super fast. It’s so gratifying. Conrad Anker is a mentor of yours, and you mention the humanitarian work he’s done including starting the Khumbu Climbing Center in Phortse, Nepal and the Alex Lowe Charitable Foundation, which funds the school. 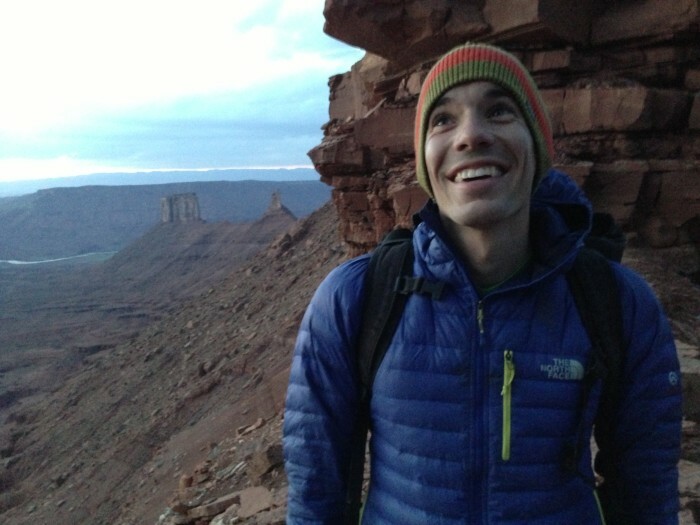 Did you seek his advice when you started The Honnold Foundation? I did when I was first thinking about starting the Foundation. I solicited advice from everybody I knew—like Brady Robinson, who’s the executive director of the Access Fund. I had lunch with him and heard about their experience, what I should do and how. The Honnold Foundation’s recent Angola project has exciting prospects—notably, the Minister of Energy asking for 3,000 more off-grid solar units to test in the market. What’s the next step? Just having a meeting with Angola’s Minister of Energy is great success as far as our project goes. We’ll have to see how it plays out and if they order the 3,000 units. The last several years, the Honnold Foundation has been supporting this group called SolarAid, which does off-grid solar projects in Africa. We could have given the same grant and number of units to people through SolarAid, but [through the Honnold Foundation] there’s the potential to do more than donate 100 units, because we got the idea in front of the right people. We saw the Minister of Energy. Leonel [Pinto]—this business tycoon who took care of us—was stoked on our project and is an important person in Angola. And, there aren’t any companies or nonprofits doing solar work in Angola right now. We’re trying to be pioneers, and now we have contacts and can share our experience. As for the Honnold Foundation’s next step: The project is done, but we’ll keep nurturing the relationships. We will follow up with BBOXX, make sure the [solar lighting] systems have all been installed, see what happens with the Minister of Energy, and follow up with Leonel—he also happens to own the best climbing spot in Angola. His lodge is on property with an amazing granite spire, which is why we initially met. You’re considering doing a similar project in Ethiopia next year? I don’t have a particular agenda on where we should go. 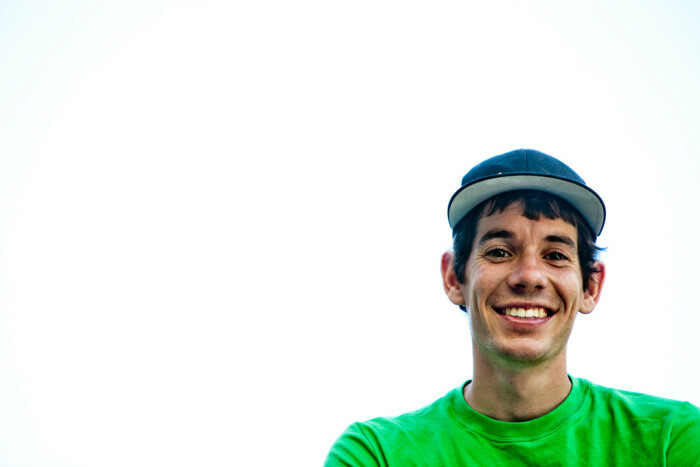 The [Honnold Foundation’s] goal is to do something positive for the world. Choosing locations honestly has the most to do with where we can be the most useful and going wherever we can do the most positive. It’s nice to go somewhere that has good climbing. Ethiopia has established climbing, is objectively one of the most popular countries in Africa, and there’s not currently a lot of solar going on. There’s definitely need there and there’s climbing. What other locations are in the back of your mind for solar need projects? I have an acquaintance that’s been doing nonprofit work and exploratory climbing in Africa—Mijka Burhardt. She actually wrote a book about climbing in Ethiopia [Vertical Ethiopia]—and has been doing biological diversity work in Mozambique, where she says the rocks are better than in Ethiopia, and the community has a need for energy access. It’s appealing that she’s done the groundwork. One thing we learned in Angola is that it’s nice to have partners on the ground, because they know where there’s need. We’d be doing something tangential and hopefully complimentary. Doing solar work in a country that’s less developed, is there less bureaucratic tape? No, there’s way more bureaucratic tape. If we meet somebody that owns half the country they can cut through it—that was one of the beautiful things about meeting Leonel. He owns all of the shipping in Angola, which helped our shipment clear customs [faster.] In general, the more Third World the place is the more Byzantine the regulations. In the States, you could easily look up the applicable rules and submit all of the paperwork online, and make phone calls from overseas—so you can do it all beforehand. In somewhere like Angola, it’s like jumping through hoops. You have to show up at the right office, get the right stamp, and talk to the right person. At the end of Sufferfest 2, you and Cedar Wright helped to install solar-energy panels in a handful of homes in Arizona’s Navajo Reservation. In partnership with Eagle Energy, that project brought power and light to traditional Native Americans, some who had lived their whole lives without electricity or running water. That wealth inequality sounds comparable to the conditions you’ve encountered in Third World countries—but right here in the U.S. Do you plan to do more work in the reservations? It is crazy that about 18,000 Navajo and Hopi are living without access to power in northern Arizona and southern Utah. But, I felt like we didn’t do quite as much good through that project as we could through the trip to Angola or to Africa. Many of [the Navajo] were living without grid-connected electricity, but have TVs and modern appliances that they’re powering from a diesel generator, which is an expensive, dirty [fuel] source. A lot of the homes would need a full on PV system—like my mom’s house with a 4.5 KW system in suburban California—but like 1 KW, and a bunch of batteries to fully power the lifestyle that they’re accustomed to. Putting even a 100-watt panel on one of those houses is not providing enough power. In Africa, a 40-watt panel with a little battery and four LED lights fundamentally changes peoples’ lives. They’re going from a single room, dark hut, to one LED light for the whole room. One of the [solar energy] systems we installed in Angola was for a father and his daughters living in two huts on either side of him. When we came back at night the whole village was hanging out outside. It’s the only light, so it changed the whole village to have one 40-watt [solar] panel. To go from nothing to one light is a huge jump. There’s certainly work to be done here, but if you’re just trying to have the biggest impact you can have a greater impact anywhere with greater need. 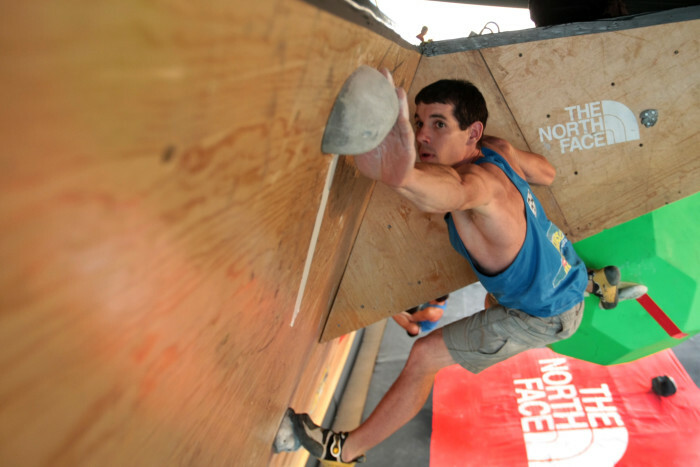 What do you need to help grow the Honnold Foundation? The Angola trip was basically through my own money and was our first attempt at quarterbacking a project with our own vision. Next year, we’ll probably push for partnerships and try to scale up. The last couple of years, it felt weird soliciting money, because we were mostly giving grants to other nonprofits. [People] may as well have donated to [those organizations] directly. Now that we’re doing something specific and separate from other groups I feel more comfortable promoting it. 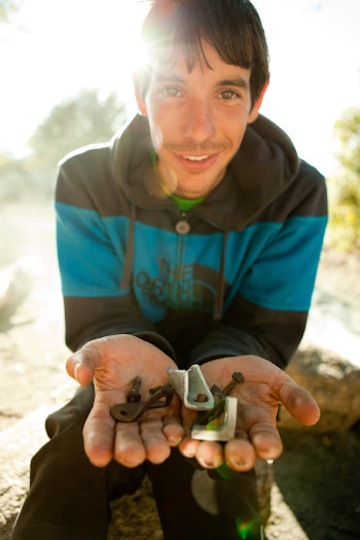 You can donate to the Honnold Foundation, or directly to any of our partners, on the website. Environmentalism is such a sweeping term. As one of your biggest interests, what do you think are the most important strands of environmentalism for people to address? I think the most important strand is to start with the low-hanging fruit. Choose the things that are easy for you, and work up from there. I’ve done that in my own life: chosen the things that were easy to change and worked up to the bigger ones. In some ways, success begets success. If you start on the hardest thing it will be too hard. I know a lot of people that are eating a typical Western diet—which is super high-impact on the world—that are like, ‘I tried to go vegan, but it was too hard.’ It doesn’t have to be all or nothing. There’s this whole gradient in-between. Cut out meat four days a week. For me, it was super easy to cut out meat, because I felt better. There are probably people that hate traveling or flying, so if they don’t fly, they’ve massively lowered their emissions. And those lifestyle choices should constantly be evolving? You should at least be constantly thinking about what your impact is and how you could potentially reduce it. If you only do the easy stuff you get complacent, suburban America style—where it’s clean, sparkly and wonderful and you don’t really realize that your community is having this oversized impact on the world. You write that your previous girlfriend, Stacey, was a large reason for humanizing you. Travel also the capacity to teach humanization—have you had any standout interactions with individuals? Not specific encounters. It’s more that, everywhere I’ve gone, I realize that people basically have the same hopes, dreams and aspirations. The overarching realization is that everybody wants the same things in life: community, friends, decent food, comfortable living. And, everywhere I’ve gone people are basically good people. Everyone is a decent, kind person, anywhere in the world. Your book chronicles your ‘biggest hits’ from free- and daisy-soloing to record-speed big wall climbs, big wall linkups and alpine ascents. Are there any types of climbing you don’t like? Is there a certain deep-water soloing height that you would say, No way, I do not want to go for it? Yeah, for sure—actually, I don’t even like jumping from anywhere. I don’t like getting wet or in the water. I’ve down climbed a lot. I know, I know. I’m kind of a puss when it comes to the ocean. From 40 or 50 feet [high] I’m like, no way. You can break your ribs. Horrible things happen falling from 50 feet into water, because water is quite hard. It’s scary. The contrast between soloing Moonlight Buttress and Half Dome was a big change in preparation. And in the Rainbow Wall chapter I was totally unprepared. There have been a few times where I sought a different kind of experience and intentionally didn’t prepare as much, because I was like, ‘this is going to be more rad.’ It turns out, sometimes it’s more rad than you need. Since then, a bunch of the hard [free] solos I’ve done I’ve prepared just as much. I put a ton of preparation into Sendero in 2014—even more than Moonlight. It’s not fair to say that the preparation waned. What’s your usual strategy for preparing for free solos, now? Your recollection of specific details from a climb is impressive. For instance, after linking up Half Dome and the Nose in a day you recall the play-by-play on the Glowering Spot—but can’t remember the hike out or where you ate dinner. There are interesting studies where a chess Grandmaster can glance at a board that’s mid-game and put all the pieces back exactly where they were. If random pieces are out—not actual movements from a game—then the Grandmaster is not any better at remembering the placements than anybody else. Random pieces make white noise. To translate to climbing: If I looked at a wall and there’s a set boulder problem on it, I could pretty much from memory be like, ‘there’s a left hand undercling and then there’s the crimp.’ If it’s random holds bolted at random intervals, it doesn’t register. It’s [also] that you already know the sequence in a way, and you’re remembering it as something that you’ve already done before. At this point, I’ve probably done virtually every combination of climbing moves that are even possible—[with] over 20 years of climbing—so it has somewhere to fit in my mind. Even on climbs when you were less prepared you seemed to recall the sequences and the moves? Only on the hard parts and the parts that really mattered. Whole 1,000-foot sections will disappear in a blur, because they’re easy. Another thing is that those sections [in the book] written in first person like on Moonlight and Half Dome are based on essays that I wrote right after I did the climbs. Most of the first person writing in the book is a collection of everything I’ve written over the years. That Half Dome article was written in 2009. If I had to write about Half Dome right now it’d be outrageous trying to remember everything. It’s comical, but thankfully, I wrote it a long time ago. I also have my climbing journal, which is a very good resource for trying to remember when I did things and in what order. Does your memory seem sharper in other areas? No, my memory is horrible. Though, honestly, I just don’t care about a lot of things, so I just don’t remember them. You say speed [climbing] is consistent with your life philosophy: Simplicity. Can you talk more about your life principals? Even more than simplicity, one of my big things is intention. I hate to say ‘mindfulness,’ because it sounds too yoga-like or very Zen. Basically, being intentional about your choices and choosing to do the things that you want to do. Choosing to spend your time in a way that’s most meaningful to you. That has lent itself to simplicity, because, if I care about these things, I don’t need that other stuff or lifestyle. In my case, that’s basically been climbing. What do I need to climb? I need to load up my car and go climbing. Everything else falls away. What’s considered as ‘simplicity,’ is choosing to spend my time on the thing that I care the most about. Living consciously is a great way to put it. Clear-eyed choices. These are the things that matter to me and I will do them. With your way of living—a sharp focus, being in the present, working to make a positive impact on the world and people—do you study Buddhism? I’ve never actually read anything about Buddhism. What little I do know about Buddhism, I’m kind of into. It’s unlike other dogmatic religions. It’s basically a set of guidelines by which to lead your life that will lead you to a better life and greater happiness. It seems easily verifiable, because people who do live that way do lead better lives, whereas other religions are not verifiable at all. Who knows, but eternal life is certainly not verifiable. It seems extremely improbable. You mention that you can’t live in your van forever. At some point I’ll live in a home. As I get older, I’m going to be too tired to fly around, and living out of a duffle gets pretty old. The nature of adventure is the uncertainty. After a while, even that uncertainty starts to be mildly boring—for everything to be uncertain, like where I’m sleeping tonight. It definitely leads to a rich life in some ways, but it also makes you tired eventually. I actually bought my family’s cabin in Tahoe this year [2015 at print], which is super exciting. It’s a pretty ghetto summer cabin that my grandpa built in 1950. My grandma died last year, so I bought it out from my aunts and uncles. I’m sorry to hear about your grandma. She was 94. Everything comes to an end. If you don’t live in the cabin, where would you choose to live? I’ve thought about living in Bishop on the east side of the Sierras. I could imagine living in Salt Lake City, Boulder, or Moab. There are a lot of random climbing towns around the U.S. I’ve traveled a lot, but I don’t think I would ever live outside of the U.S., partially because of language issues. Even if you can sort of communicate with people there’s a cultural disconnect where you’ve grown up with different experiences. It means there’s tons of uncertainty all the time. I’d want to fit in more with my community. Maybe, if I met some nice French girl I’d move to France, but I’m not seeking it. What do you envision as your home space? For sure, it will be all solar electric. After living in a van for so long, I’m pretty stoked on simple, clean design, tight spaces, everything within reach. I definitely will never live in a 4,000-square-foot mansion-style home, because I think it’s such a waste of space. For the last 8 years, if I need to pee during the night I just reach down and go in my pee bottle and fall back asleep. I don’t even need to leave my bed. In a hotel, it’s so annoying to have to get up and walk around and turn on lights. I’m never going to want a big house where you have to walk a quarter mile to get to the kitchen. That’s just lame. As a vegetarian, what about a garden? I enjoy eating fresh produce, but I would never raise a garden, it’s just not my thing. Maybe I’ll find a nice lady that’s into gardening. If you could today, are you ready to fall in love again? Hmm. Yeah. …I don’t know what that exactly entails. What qualities or values in a woman are deal breakers? It’s hard to say. My last serious girlfriend, Stacey, was a non-climber when we started dating. I thought, ‘this is sweet, because she compliments the whole other side of my life.’ Then, over the course of 5 years, she became a really good climber and I basically realized that I need a solid mountain woman who can climb well and do stuff outside. Otherwise, I just won’t see her enough, because I’m never in one place. But then, I always think, maybe for the right person I’d be willing to compromise. I don’t really go on dates that much. I like going out for a nice meal, hanging out and chitchatting, eating ethnic food like Asian noodles or Indian. So, not necessarily climbing or adventuring outside? In some ways, that’s not a date. I go climbing everyday. Though, having a cool adventure with the right chic is sweet. It would have to be explicit, because I think that’s super annoying for most girls that just need a climbing partner and the guy thinks they’re on a date. He could be equally annoyed for the ambivalence. For the date, why not just combine both—climbing and great food. Well, yeah, that’s ideal. Line me up. I’ve got an open calendar. You also shared that you’d enjoy grandkids, but having kids is somewhat heinous to imagine. Do you want to raise a family someday? I don’t know. When I was dating Stacey seriously it was assumed that we would have kids someday. But, as a single person I kind of feel I don’t really want to raise a kid. It depends a lot on who I end up falling in with. If I wind up being super stoked on someone that doesn’t want kids, that’s fine. I’m open either way. How many days have you gone without climbing while traveling on book tour? The worst has been 3 or 4 days, but I have a hangboard with me, so I’ve been training in random places. Last month, I was touring South America for Banff and Reel Rock doing film events. I took the opportunity (since I knew I would be traveling a bunch) to do a regimented training program. Instead of focusing on climbing I focused on training including working finger strength on a hangboard. I would climb to warm-up, just so I could train harder. I did a month and felt way stronger. The plan was to do the same training cycle again for the month of the book tour. I’ve been doing it, but last month, session by session, I felt stronger. With the book tour, because I’m not sleeping, not eating, and I have a cold, I’ve been feeler weaker each session. What’s your day-to-day diet like? This morning I had a veggie scramble with some fruit and French toast, American diner style. Yum! It just varies. If I’m in my van cooking for myself I occasionally do Indian tasty bites with rice, or mac-n-cheese with vegetables. I tend to eat out a lot though, especially when I’m traveling. You have a huge sweet tooth and love cookies—what’s your favorite kind? It’s kind of amazing that I now have a reputation for having a sweet tooth. Classic chocolate chip cookies. Straight up. My brother’s biggest passion is climbing. He wanted to ask, how do you not plateau? In terms of physical performance and motivation. For me, the motivation has been easy, because I always feel I could do better. If I do something, I think, it must not have been that hard, because I did it. There’s always that receding goal post. The physical plateau is a lot harder. That’s why I’ve been training with the fingerboard. Technically, I’ve been physically plateaued for six years. You wouldn’t know from all the climbing media, but I’ve basically climbed 14b or 14c since 2008. In 2010, I was climbing really well sport climbing, and I’m no better now then I was then. That’s why I need to start focusing on real training and fingerboarding, so I can be physically stronger. I think that’s the harder thing to deal with. Does training also help to prevent injury? No, it’s the opposite. By training you’re flirting with injury for months at a time. That’s the essence of training. You’re pushing your body to the edge of failure, but you’re not going too far, and as it recovers it’s stronger. The whole month I was in South America I felt like several of my tendons were right on the verge of exploding, but I was always right on that line where I was pushing myself really hard, not straining or injuring anything. Then after the one month training cycle I took 10 days off to recover. That sounds tough not having a coach to help push you in training. One of the themes in the book is that you alternate between years of phenomenal climbing breakthroughs followed by years of “consolidation.” 2015 was a year of consolidation. What’s up for 2016? It seems to be a theme…better go big! Yeah, we’ll see. The ‘consolidation and breakthrough’ is a little hokey. Part of that has to do with if I spend a year just focused on climbing, then I’m putting off some of my other responsibilities to sponsors and work events. This year, I’ve done a ton for sponsors, film projects or speaking [events]—work that buys me a lot of time—so next year, I can do whatever I want. Is it also partly that there’s a mental or psychological recovery? Maybe. Just by changing pace a bit you can get re-psyched. Certainly by doing the book tour I’m stoked to go climb outside again: to live in my van and climb. Though, it will be funny, because probably when I first start climbing again I’ll feel terrible for a bit. I’ll be like, ‘my body hurts, what’s wrong with me,’ but at least I’ll be really stoked.